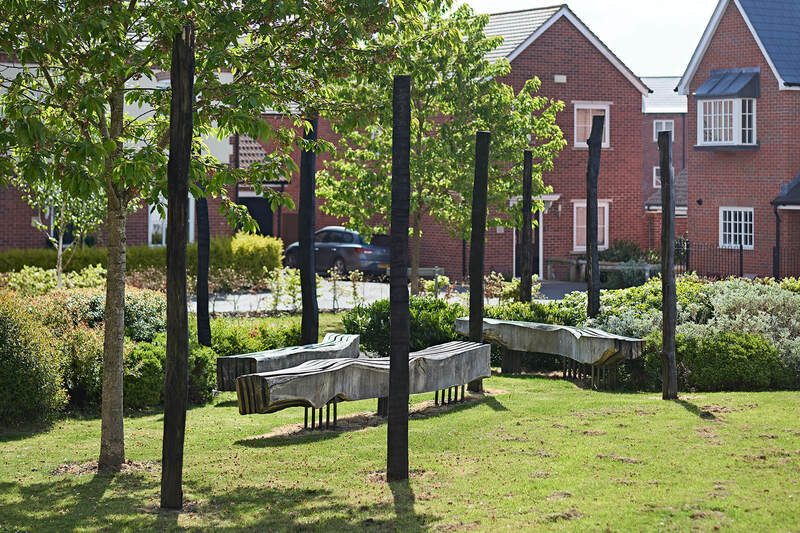 In recent years Simon Thomas Pirie have completed a number of high profile installations in public spaces. 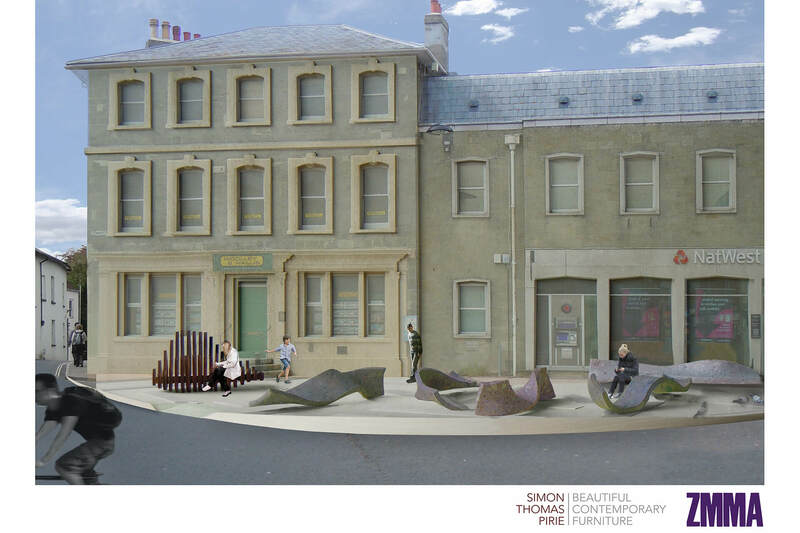 This reflects back to Simon’s early career and first degree in sculpture, which has now come full-circle and has been reintegrated into our broader design practice. 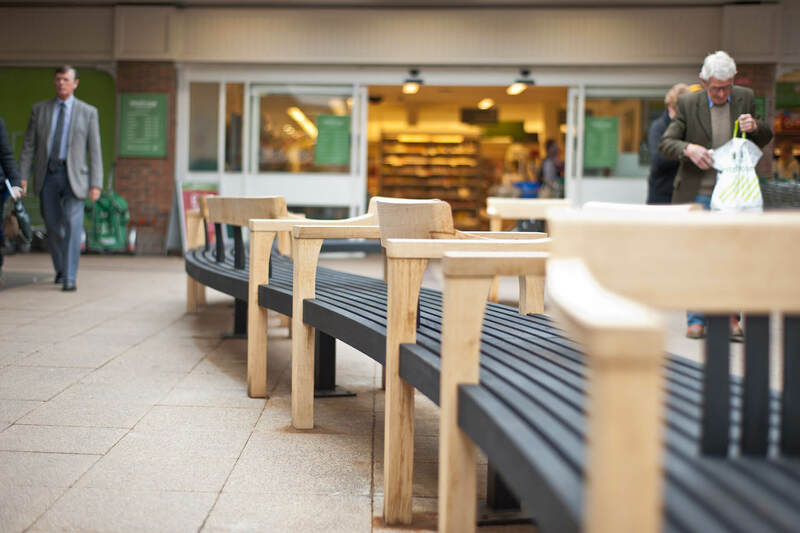 We have designed outdoor seating for a range of spaces, from benches and swing seats in private gardens to communal seating areas in parks, public gardens and shopping centres. 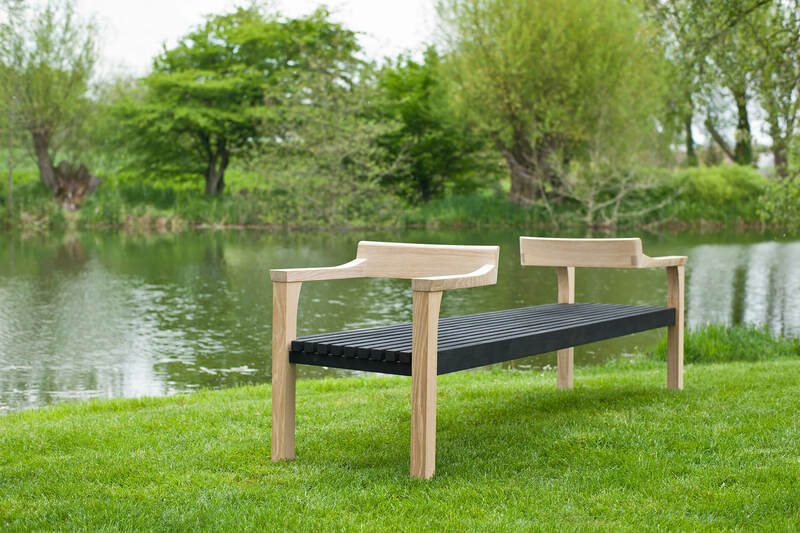 The ‘Floating Bench’ collaboration with Sitting Spiritually has been featured in two RHS Gold Award winning gardens and was shortlisted for ‘Chelsea Garden Product of the Year 2016’. 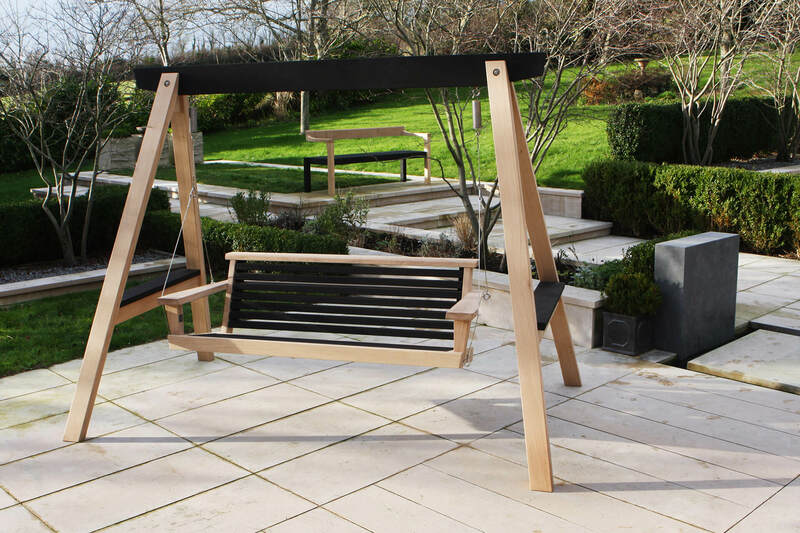 Part of the Simon Thomas Pirie Contemporary Range. Designed for and sold exclusively through Sitting Spiritually of Lyme Regis. 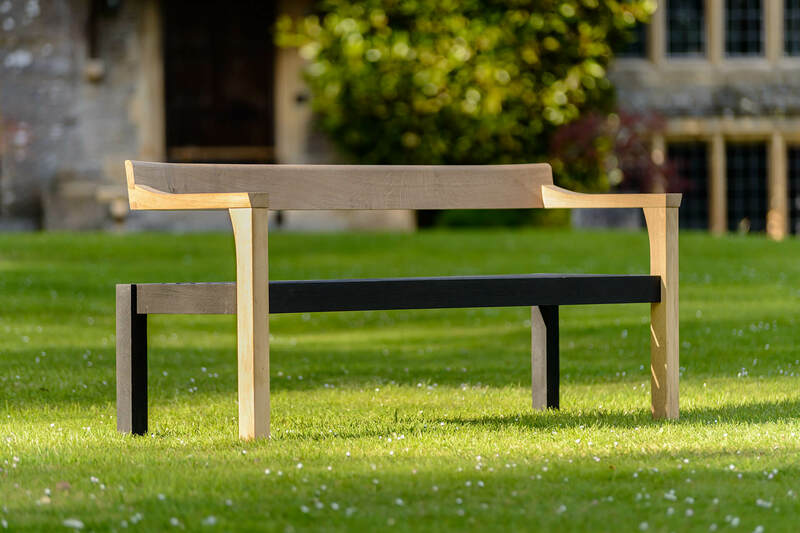 Natural and scorched oak. 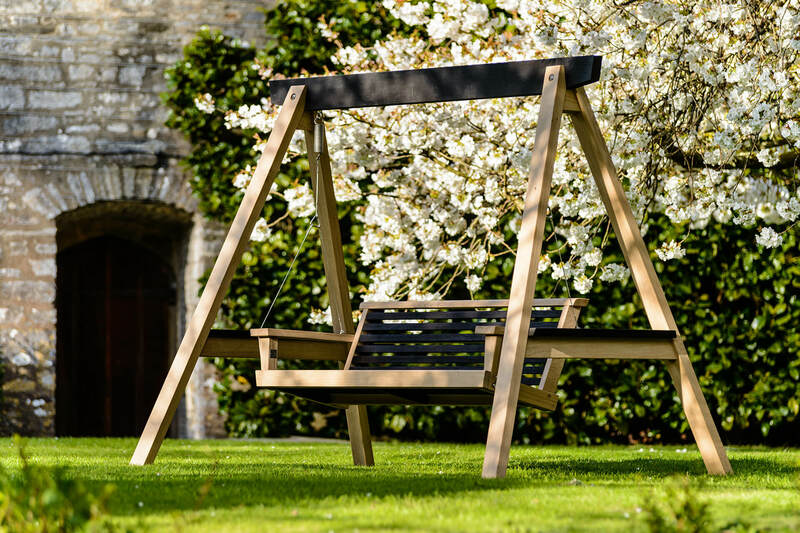 Part of the Simon Thomas Pirie Contemporary Range. Sold exclusively through Sitting Spiritually of Lyme Regis. Natural and scorched oak. 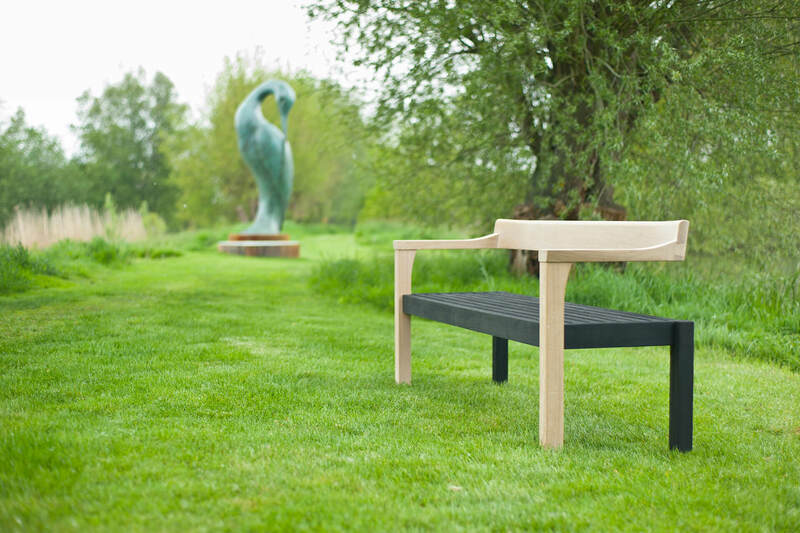 Part of the Simon Thomas Pirie Contemporary Range. Natural and scorched oak. Steam bent scorched and natural oak. 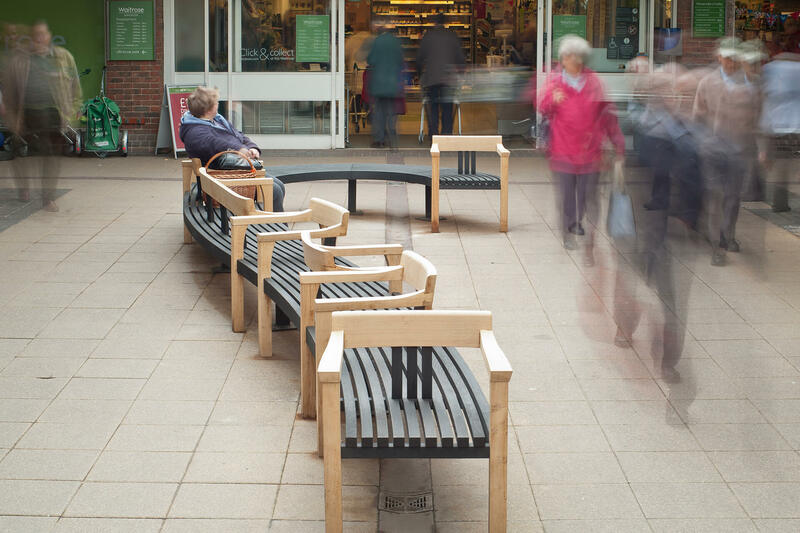 Tudor Arcade Public Seating, Dorchester Dorset. 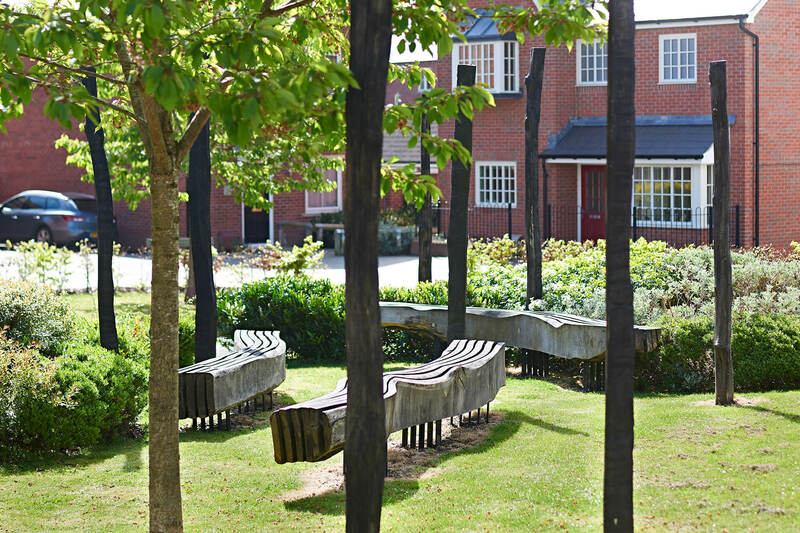 Public seating and installation on housing development designed with ZMMA Architects, London. The Rickyard in Shaftesbury, Dorset. Scorched oak and cast stone. 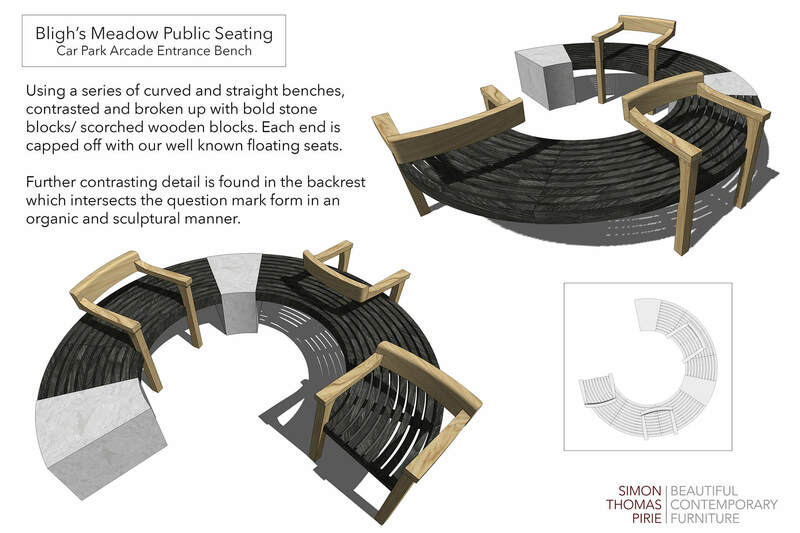 Bligh’s Meadow public seating proposals for Sevenoaks, Kent. 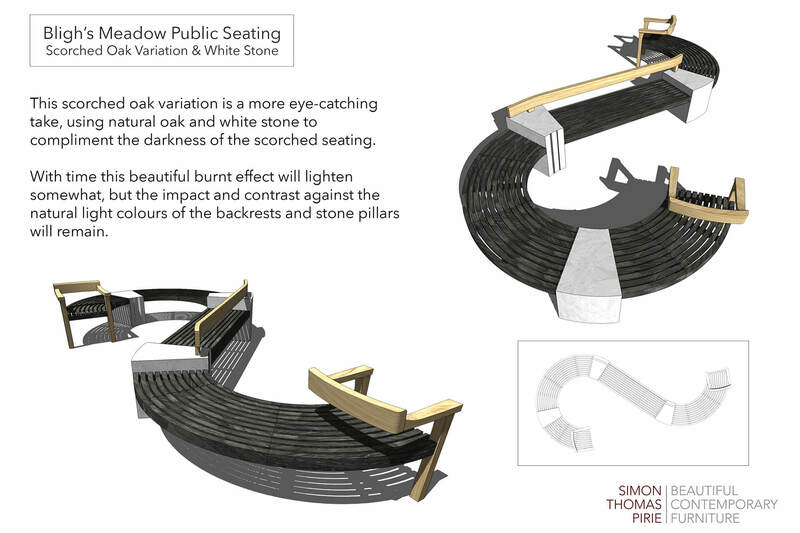 Developed in conjunction with ZMMA Architects, London. 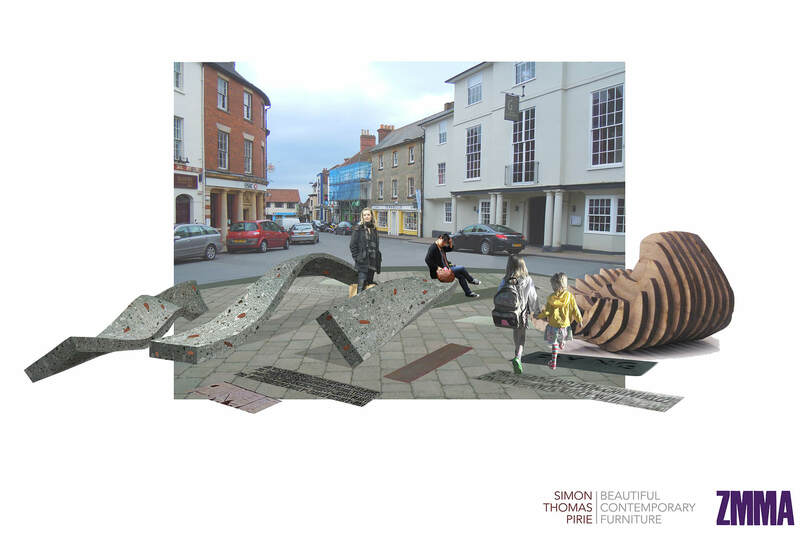 ‘Common Places’ public art proposals for Shaftesbury town centre.